Its almost 30 minutes passed but the Jio website is still not up. 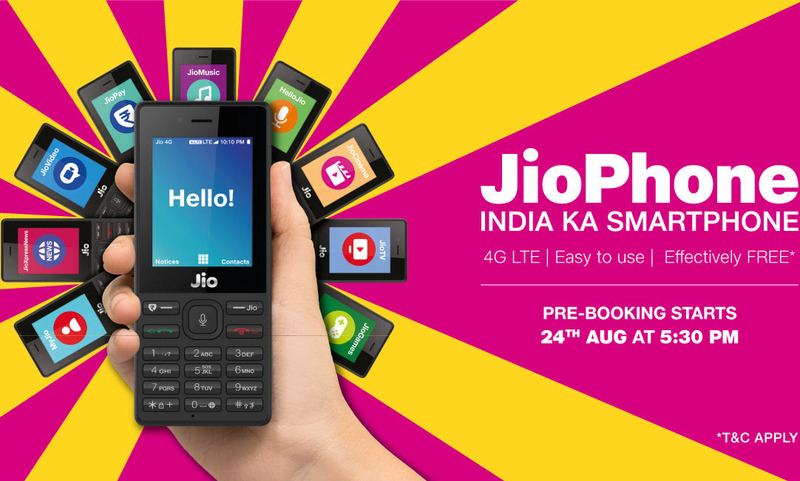 The Jio Phone pre-booking was scheduled to starts from 5:30 PM on 24th of August. But some how jio server is met with some error. Jio.com official Jio website is now showing content server error. I hope nobody got a chance yet to book any jio phone. We are trying every second, refreshing the jio phone booking page for a luck. Don't know exactly what is happening with booking process. Even the MyJio app is not showing anything to book jio phone. Hope the problem will be solved soon. So that users can book their phone. In case, if you are confuse which website link for booking jio phone, you can simply go to the jio.com website and click on the know more option on Jio Phone booking banner. Or you can directly go to this link- book jio phone and keep on refreshing. Its 6:10PM, after 40 minutes, the jio website is still fetching some error. But content server error is not any more. Sometime the webpage is opening but no booking link. Sometimes showing some proxy error. Hope the problem will solve soon. Its close to an hour but still the server is not working fine. There is no official news from the Jio at the Jio twitter handle. This is not a good business at all jio. Lacks and crores of Indians now trying to book Jio Phone but only wasting time till now. Finally Jio.com is up at 6:40 PM and booking link live. Jio Phone booking started but server is too busy. Stuck at payment option. Showing- Our systems aren't responding. Please try again after sometime and Connection Refused, server is not started or has refused the connection. Keep trying for a luck. First content server error. After almost 80 minutes the site up but again error at payment option. Trying from last 30 minutes but no luck. Now jio site again crashes. I don't think anybody got chance to book a Jio Phone yet.